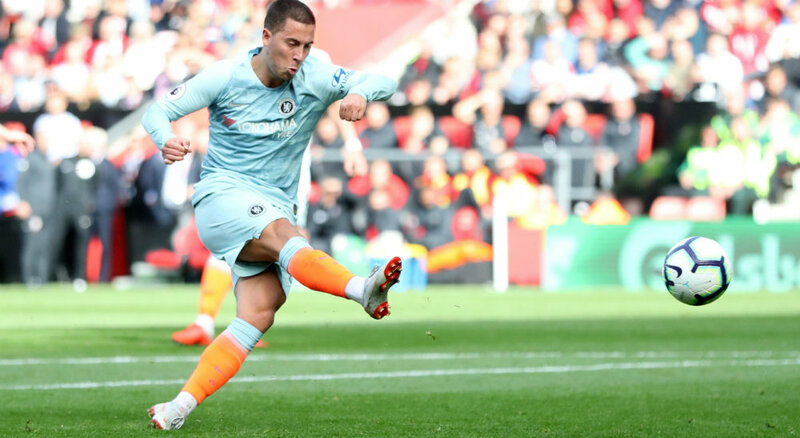 Eden Hazard has travelled for Chelsea’s Europa League clash with BATE Borisov in Belarus, but Marcos Alonso, David Luiz, Antonio Rudiger and Alvaro Morata have been left at home. Hazard missed three matches with a back problem before returning as a substitute in Sunday’s Premier League win over Crystal Palace, but has made the journey to Belarus for the Group L fixture at Borisov Arena. Morata scored twice against Palace, but Blues head coach Maurizio Sarri has opted to rest his in-form striker. “He played for three matches in a row. I thought it was better for him to stay at Cobham and rest and have only training,” said Sarri, speaking in Minsk. Cesc Fabregas was a late withdrawal through illness, resulting in N’Golo Kante travelling.